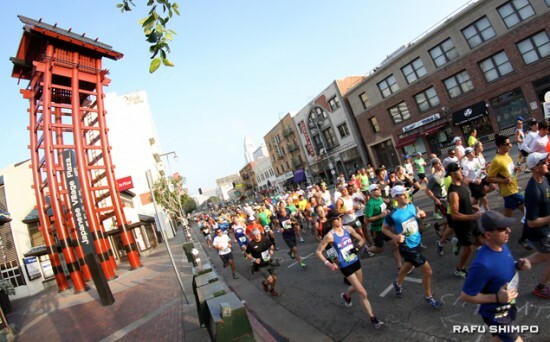 Runners race down First Street in Little Tokyo, passing Japanese Village Plaza and the Japanese American National Museum, near the three-mile mark of the 28th annual Los Angeles Marathon on March 17. 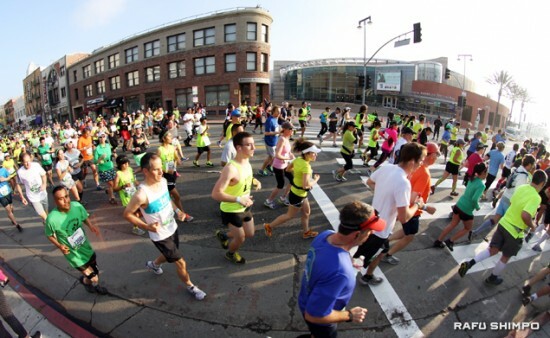 More than 25,000 runners from all 50 states participated. 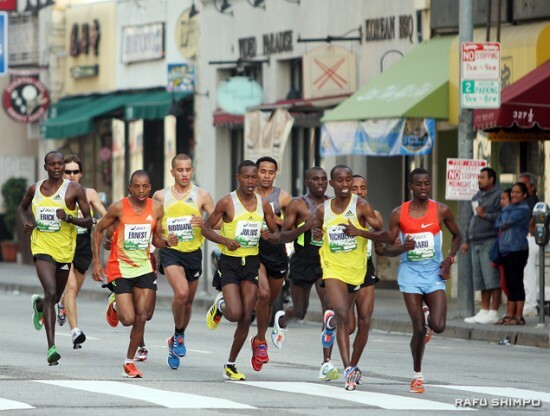 The elite male runners led the pack. Some competed on foot, others on wheels. Left: Some patriotic runners flew the flag. Right: The elite women’s contingent. Left: Some ran in costume, such as this Mickey and Minnie Mouse couple. Right: Ida Yee and Joanna Kwok of Chatsworth hit their stride representing Students Run LA.